Hello, and Happy Friday We R friends! 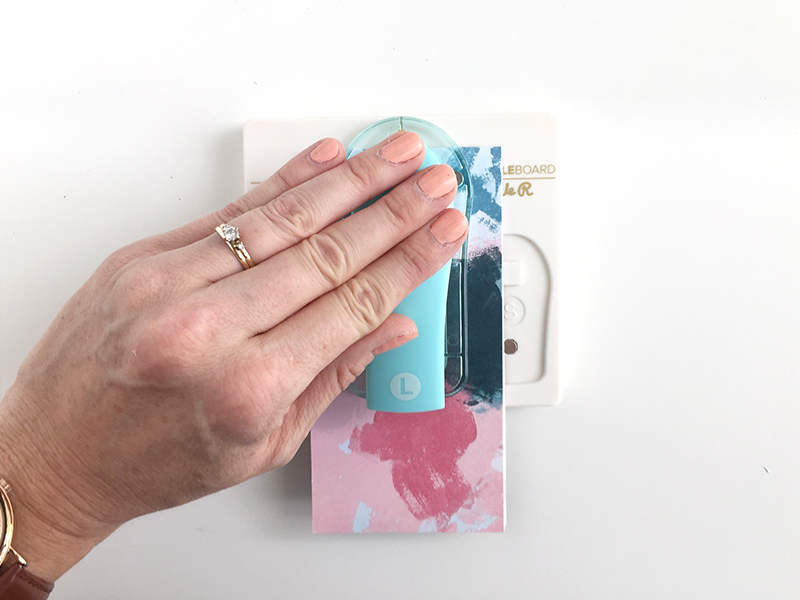 It’s my turn to share my Top 3 Favorite Tools with you and I’m so excited. Honestly, it was really hard to narrow it down to just three because I’m in love with so many We R tools! But, I gave it some thought and here they are! 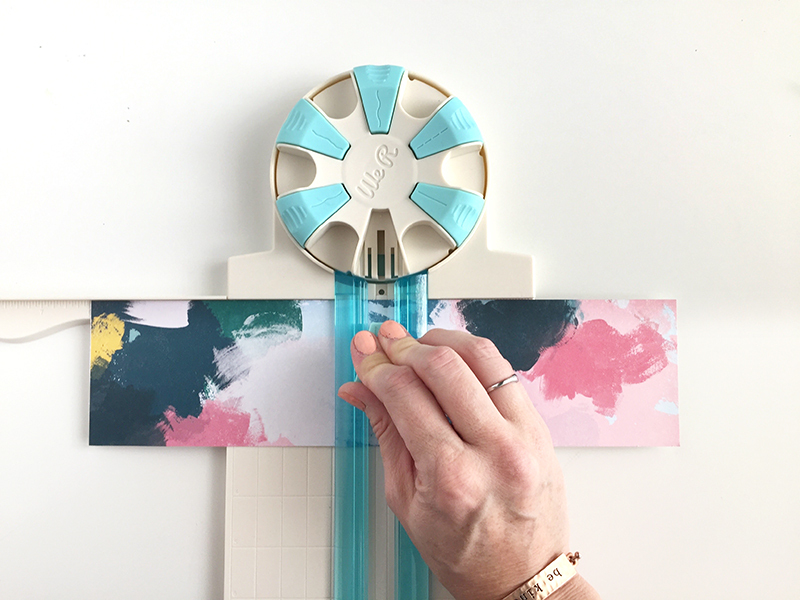 I can’t tell you how much I’ve loved creating with this fun new tool! It has so many different applications, and is such a versatile tool. I feel like I can add a Happy Jig creation to almost ANY project I create. I’m a sucker for some custom party decor, so I find myself reaching for the DIY Party Board on a regular basis. It never ceases to amaze me how versatile this fun tool is, and I love finding unique ways to create with it. As a crafter, stamping and I have a love-hate relationship. I hate the effort and patience that it takes, but I love the results. 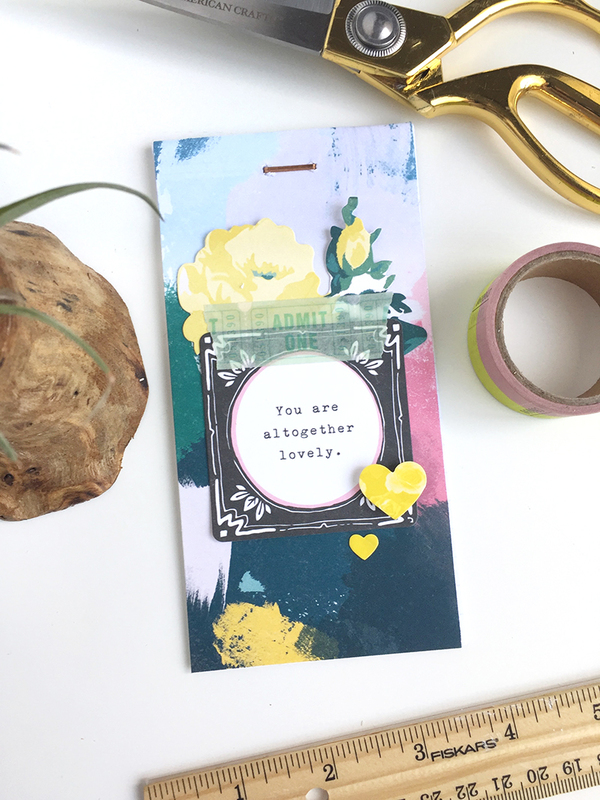 When the Precision Press Advanced was released my relationship with stamping completely changed! I can totally stamp with confidence and ease now, and that is something worth celebrating for sure. Thanks for stopping by friends! I’d love to know what your favorite We R tools are! Tell me in the comments below. Have a great weekend! Hi everybody ! 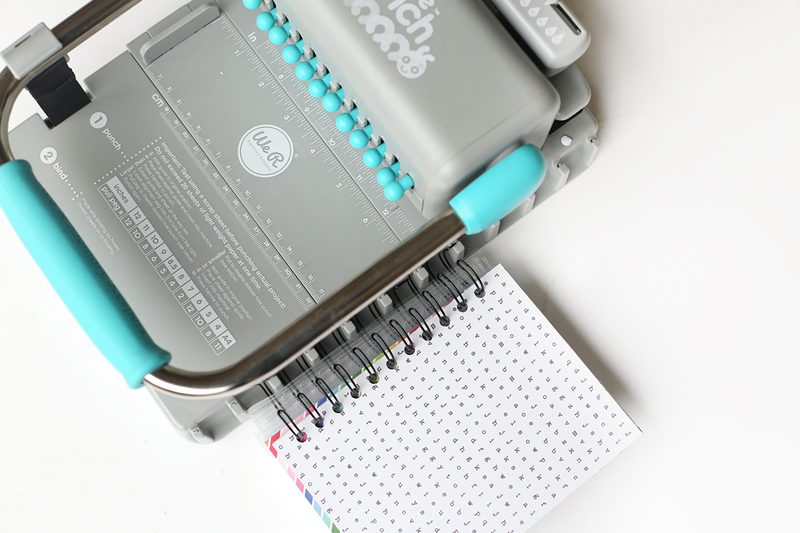 Soraya here today to share 3 of my favorite We R Memory Keepers tools : the Happy Jig, the 1-2-3 Punch Board and the Hole Reinforcer Punch ! Let’s start with the Happy Jig. How amazing is this tool that allows you to create any word you want ?! 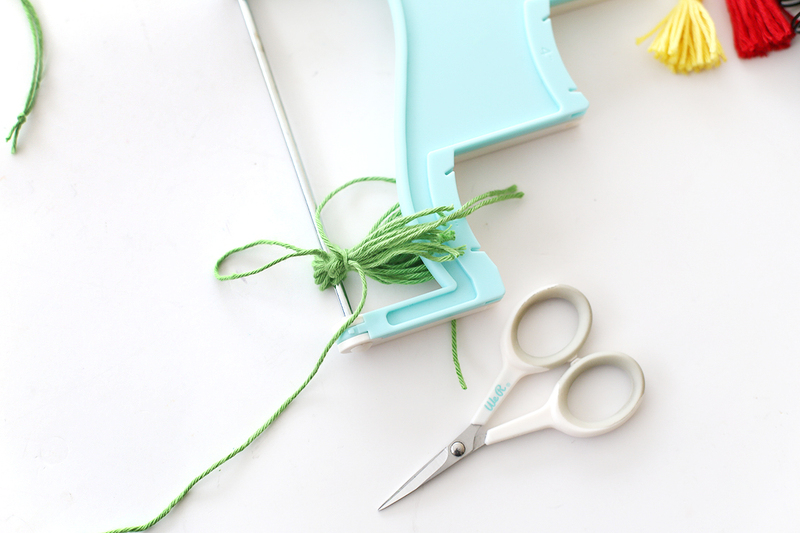 I just love how versatile it is since you can decorate any project thanks to its colorful wires. 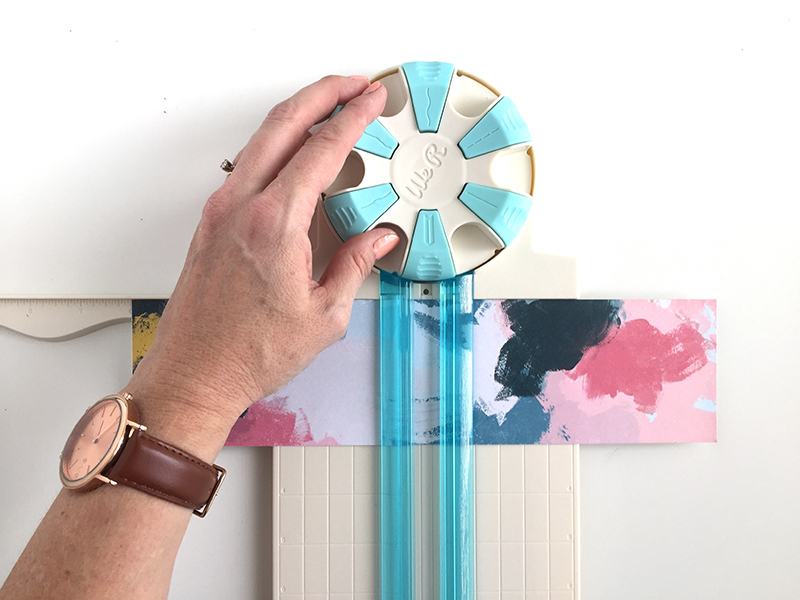 It’s very delightful to create with the Happy Jig, above all for my planner spreads and layouts. You can easily add more dimension and texture not to mention the multitude of shapes that you can make. The 1-2-3 Punch Board is forever my favorite ! I’m a real lover for everything boxes ! Any occasion can be celebrated with party favor boxes or treat bags. Last year I made a hundred of mini boxes for my nephew baptism it was awesome to make them with this amazing Punch Board ! Halloween treats are also my favorite boxes to do (and the bows are so gorgeous too!). 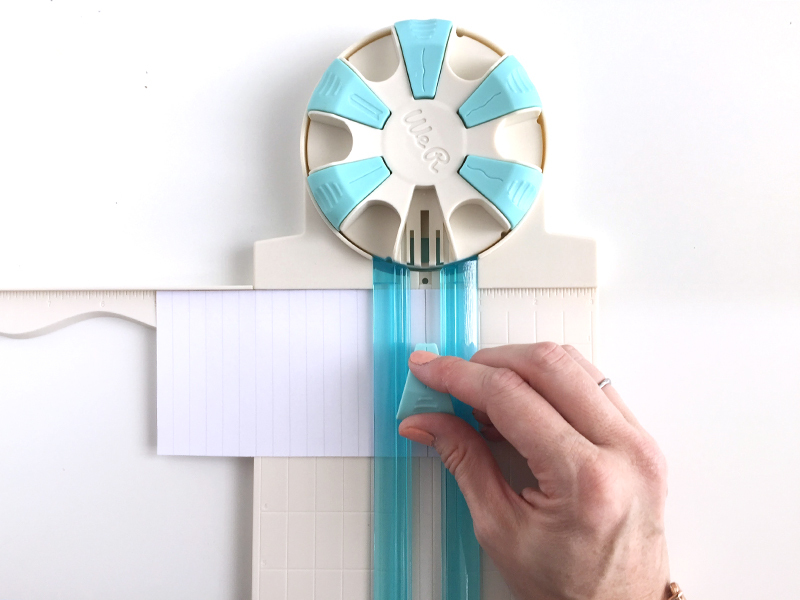 The Hole Reinforcer Punch helps you to save your teared papers but it also allows you to create with so much fun ! 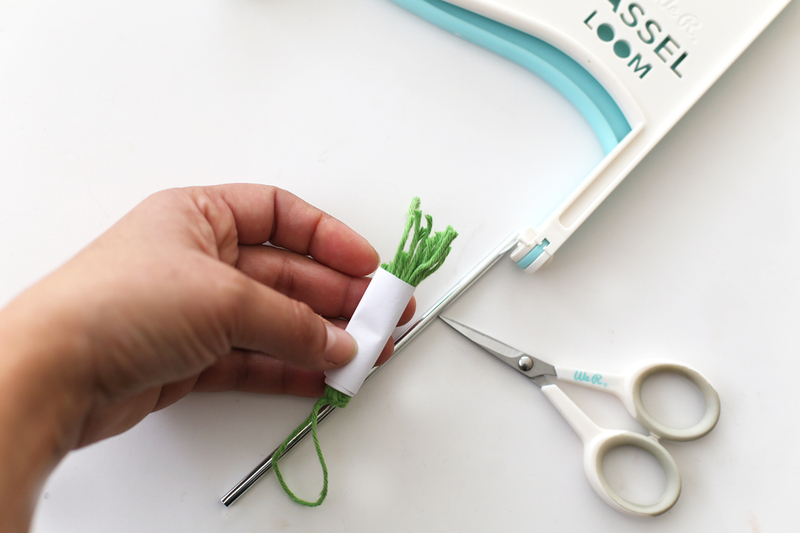 As an embellishment, as a sparkling planner garland or as a cute paperclip, this small tool can make big things ! What about you ? 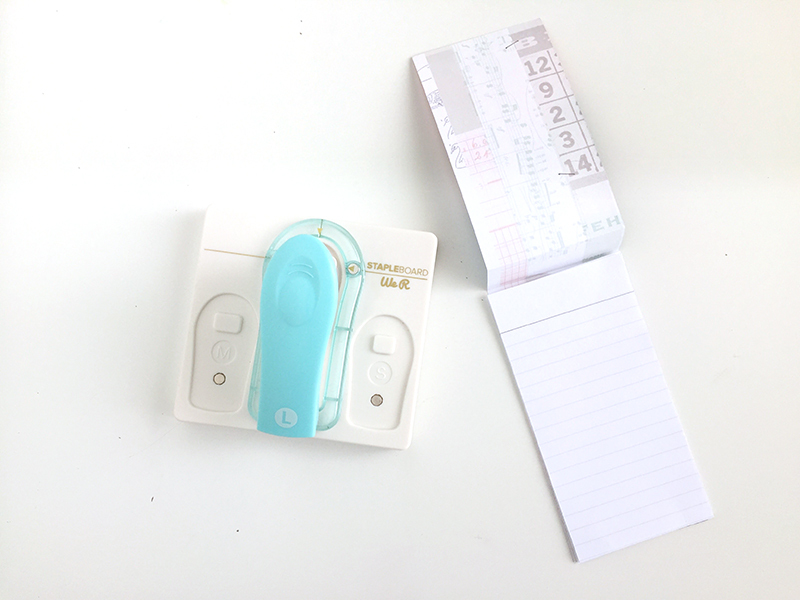 What are your favorite tools by We R Memory Keepers ? Happy creating everyone and until next time ! Hello, We R fans. Enza here, and today I’m sharing three of my favorite tools. Let me start by saying it is impossible not to love every single one of them, as they are all useful, fun and easy to work with. Anything that can help me speed up the process while still giving me amazing results is a winner in my book. 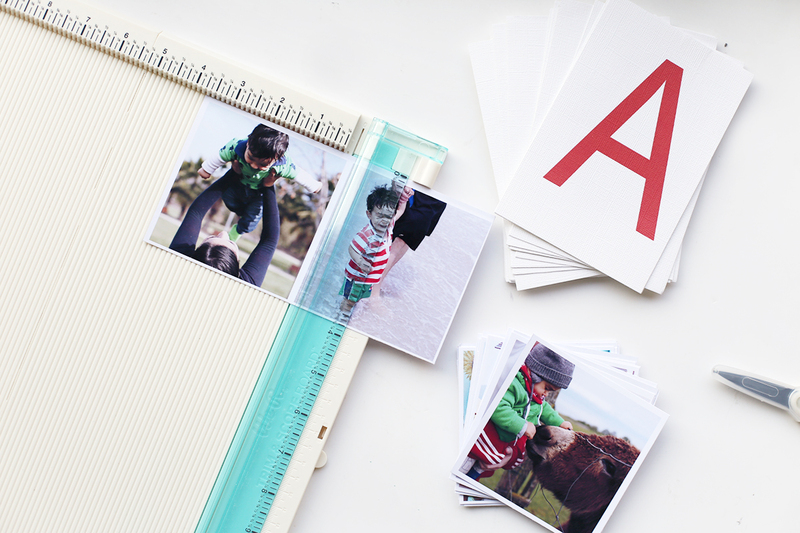 Plus, I’m often inspired by the variety and versatility of We R Memory Keepers tools. The first tool I can’t live without is the 123 Punch Board. 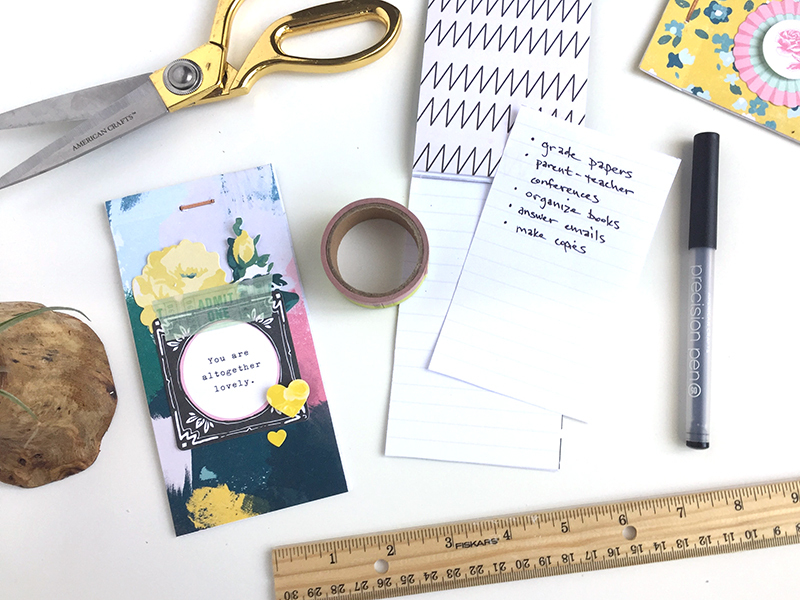 One of my passions is gift wrapping and pretty packaging, and lately I have discovered a love for card making, so this tool is perfect to create a variety of projects. 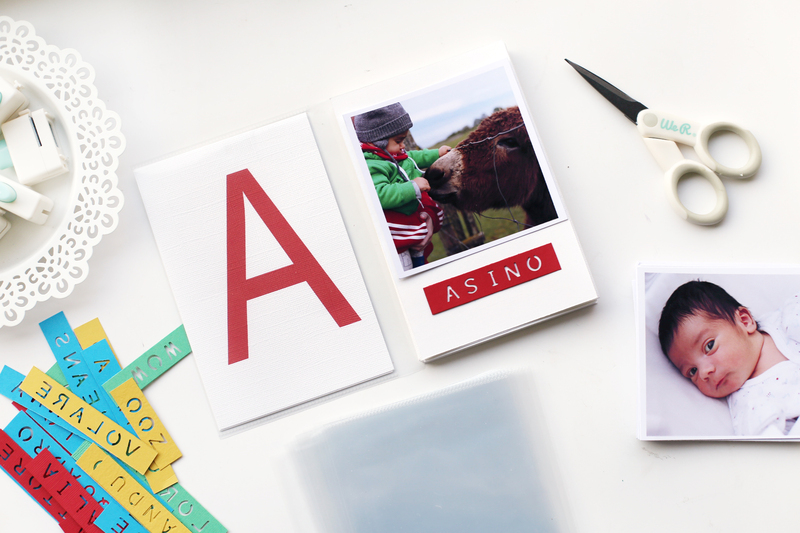 You can make different type of boxes, bows, envelopes, envelope liners, and even file folder cards. I think every crafter needs this in their stash. All the instructions are already on the board, and you also get an Idea Book with step-by-step instructions that is really helpful. Super duper easy to use! My second favorite is a tool that I use for almost every project, and another essential in my stash. 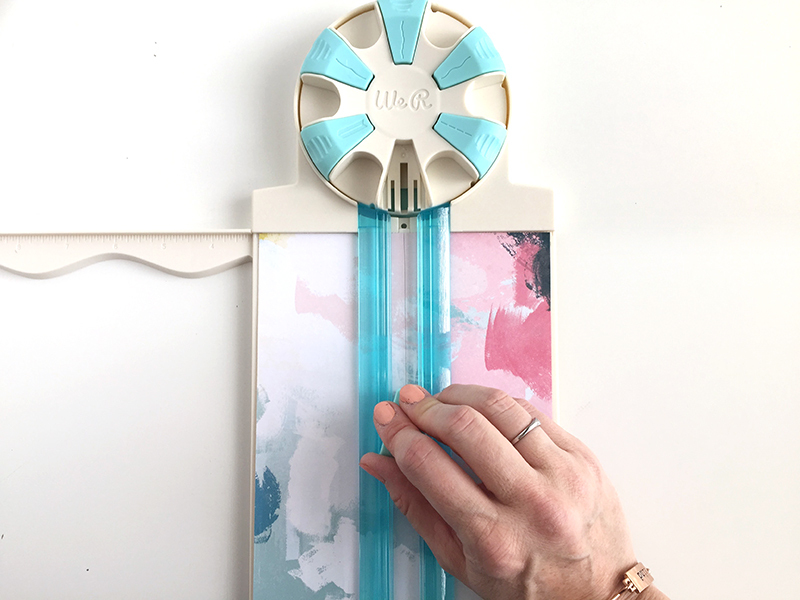 The Tag Punch Board is fun and very versatile; it is perfect to create gift tags, tag mini albums, layering elements for cards and scrapbook layouts, and more. 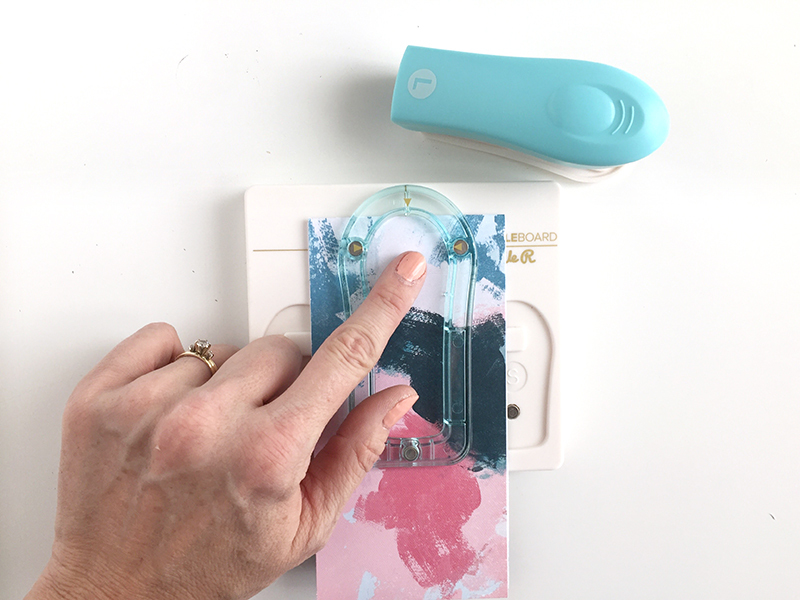 What I love the most about this tool is that you can make tags in different sizes, up to 3.5” wide, and that it punches perfectly centered holes every time. 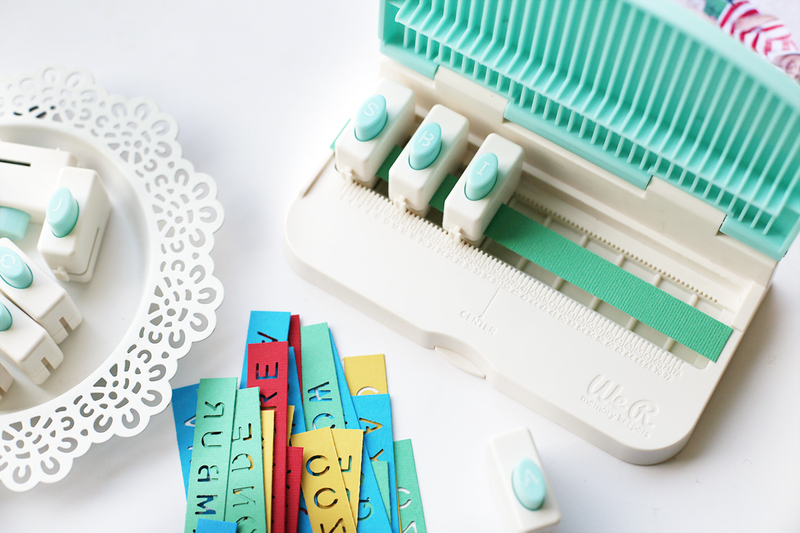 To complete the look of my tags, I also use the Hole Reinforcer Punch, but that is just a preference. Last, but definitely not least, is the Happy Jig. Such a clever idea! You can make unique and custom embellishments for scrapbook pages, cards, even home décor. 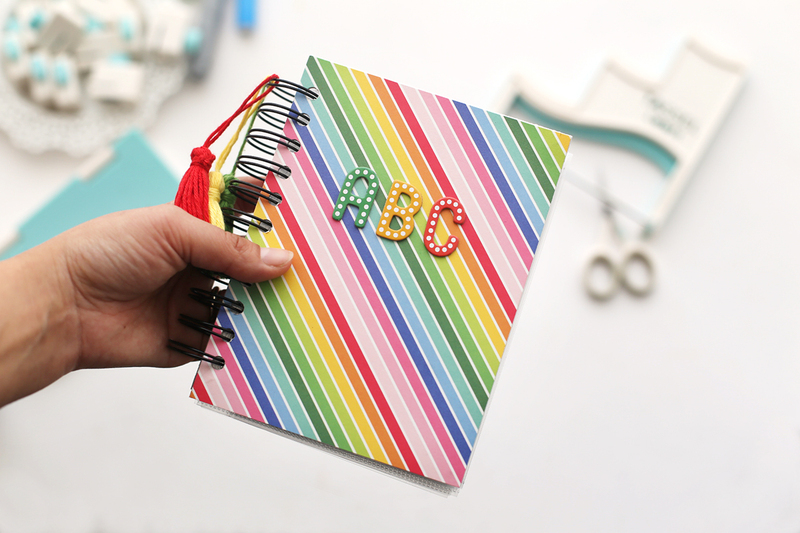 It comes with wires in different colors, and the super helpful Instruction book, with step-by-step instructions for bending wire into letters, shapes, and words. Your imagination is the limit with this tool. I also love that you can store the pegs and the wire cutters in the base of the tool for easy organization. Hello we R Fans! The reason we all love We R Memory Keepers so much is because, in my opinion, they make THE BEST tools around! 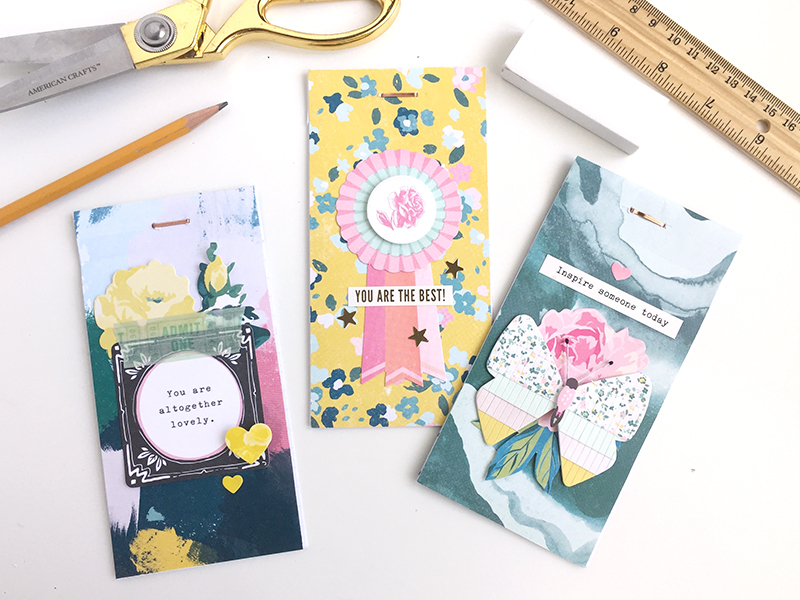 No matter what type of projects you like to create, whether it’s card making, scrapbooking, project life-ing or sewing, they have the perfect tool for the job. The Typecast opened new doors for me. I am one of those people that hate their own handwriting, and being able to create memorable, neat journaling directly on a 12×12 sheet of paper was so liberating! I love the fact that I can just pop a bit of paper or a journaling card into the typewriter, and within seconds, have exactly the wording that I need. 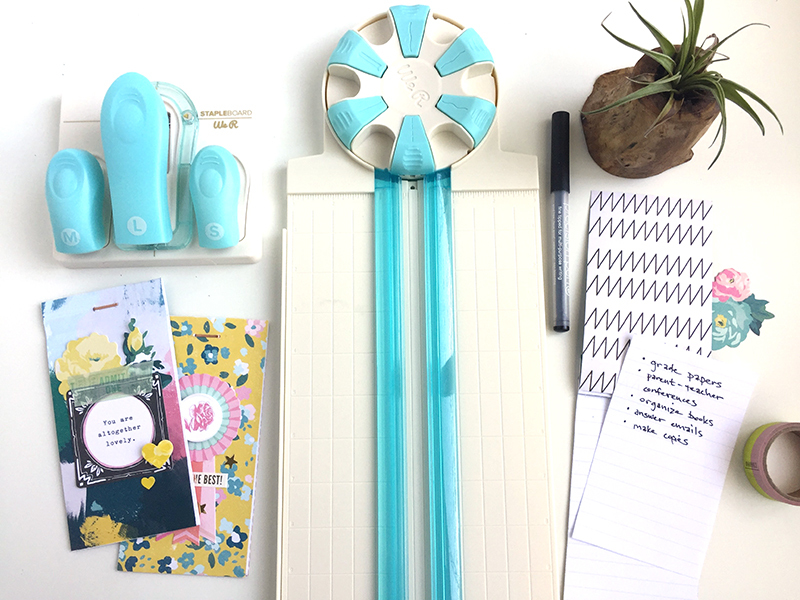 The Typecast range comes with a compliment of stunning papers and accessories as well as many interchangeable ribbon spools so you can type in lots of different colours. This is a going away card that I created using my Typecast and several journaling cards from the Typecast collection. Here you can see an example of a scrapbook page where I have typed directly onto the 12×12 paper. 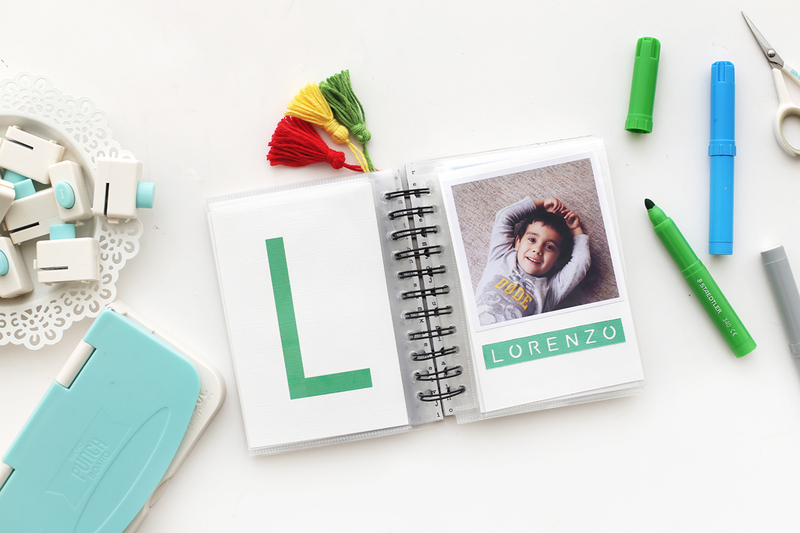 Paired with the Mini Alphabet Punch Board, you can create fantastic title and journaling combinations! Next up are the Clear Cut Punches. These babies are so amazing, you can punch anywhere on your project. The Circle Clear Cut Punch is probably my favourite. 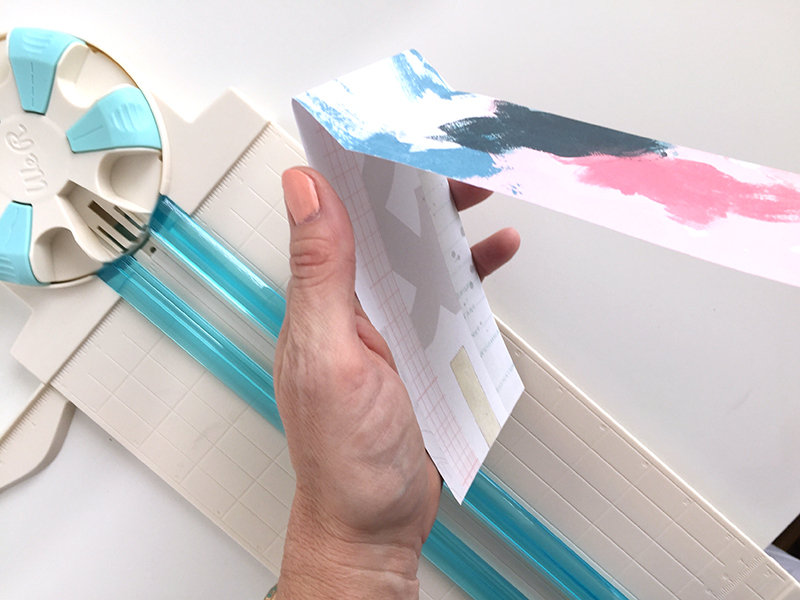 Such a versatile shape, I have used mine so many times to create patterns on my scrapbook pages, die cut shapes for cards and albums and even frames. Punch exactly what you want, where you want! Here you can see some festive treat bags I created using the Circle Clear Cut Punch and another of my all-time favourite tools, my Envelope Punchboard. Another thing I love about the Clear Cut Punches are that they create die cut shapes, which you can then use as ephemera on new projects. No doubt, there were plenty of people doing the happy dance when the Happy Jig was announced, including me! 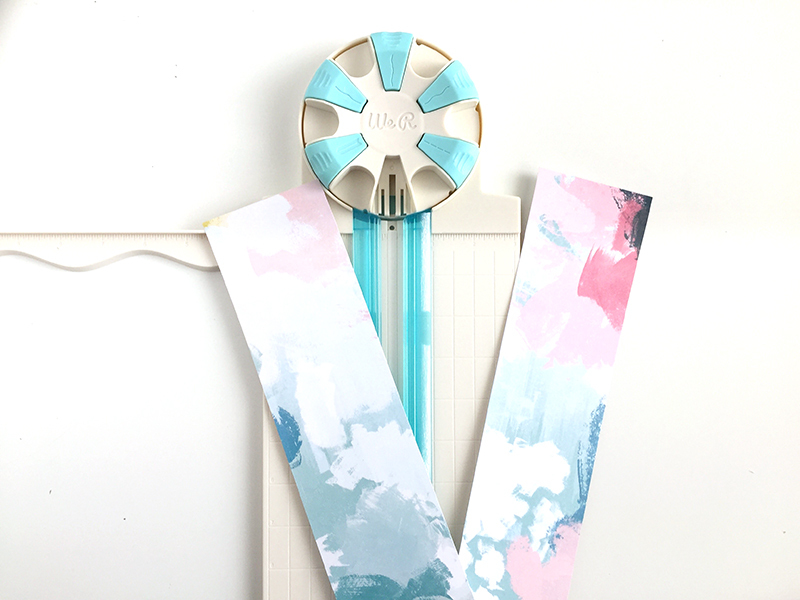 This easy-to-use jig makes wire working a breeze, by allowing you to wrap wire around the pegs to create fun embellisments for your projects. There are over 100 design templates available in the instruction book and on Instagram. 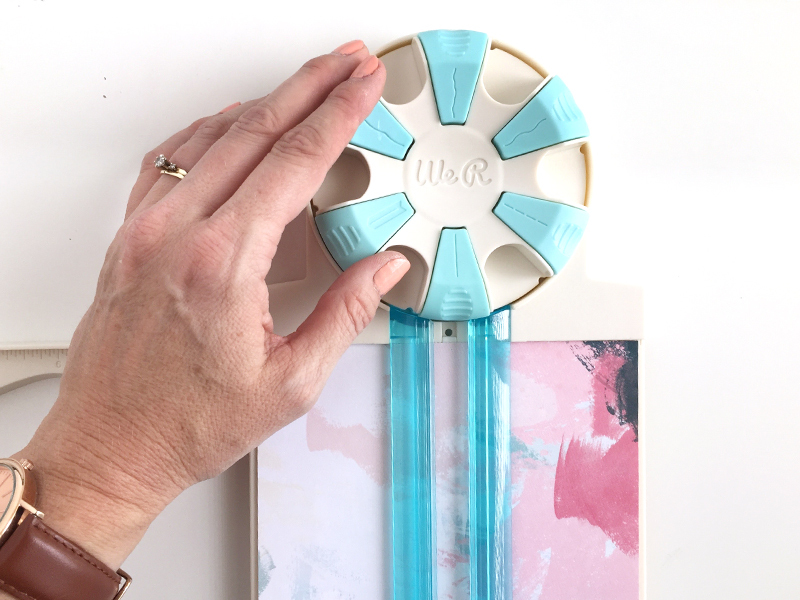 Be sure to give @werhappyjig a follow to find lots of inspiration, instructions and how-tos! Each 100-piece kit includes colored wire, pegs, and wire cutters and includes a built-in storage compartment for supplies. Additional wire colors are sold individually and in packs. The easy-to-follow instruction book includes step-by-step instructions for bending wire into letters, shapes, and words. This ‘hello’ title was a fun addition to a card I made. The flower shapes were cut out using my Evolution Advanced with my Magnetic Mat. 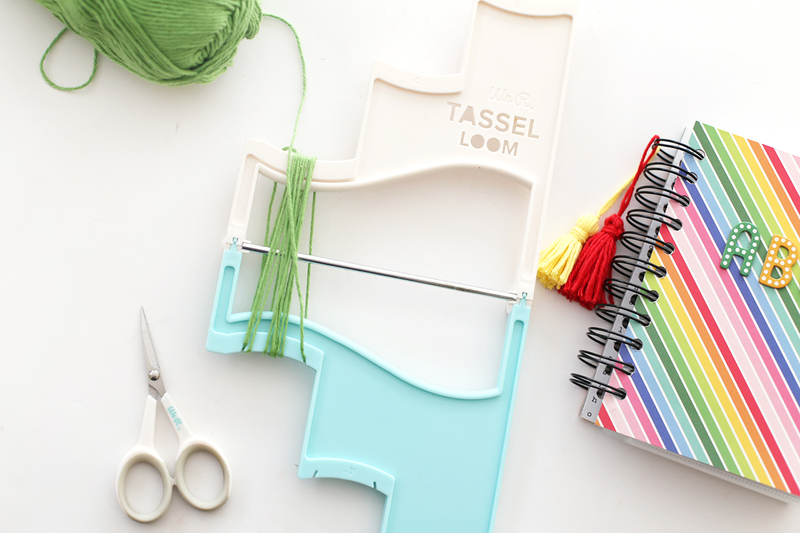 May you enjoy many happy hours crafting with your favourite WeR tools! Hello We R Fans! Kimberly here with a teacher gift that is sure to leave everyone with smiles! 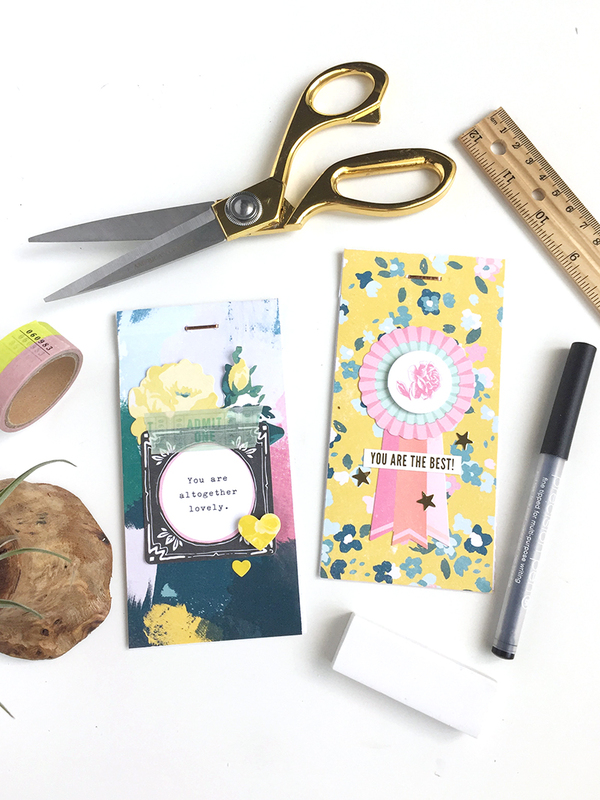 Quick, easy, and thoughtful is the best kind of teacher gift you can make. 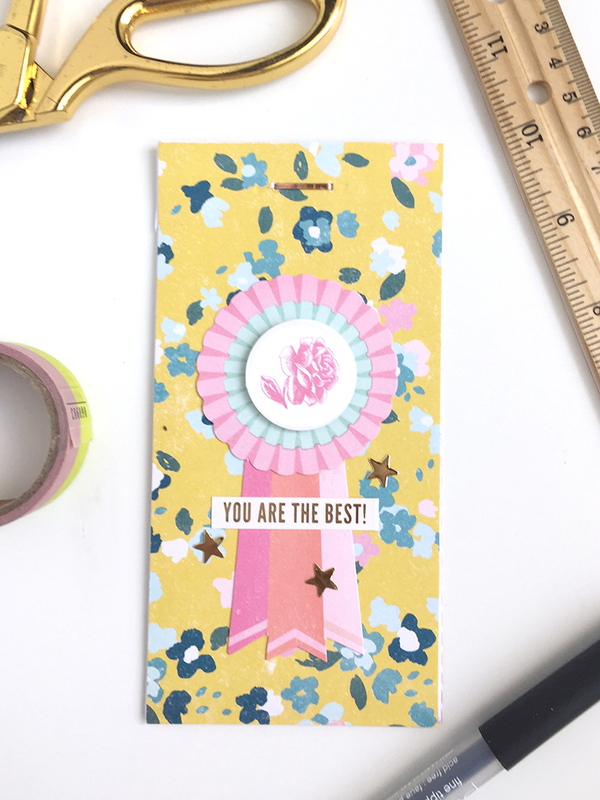 Follow this fun idea and not only will it meet all those criteria, but the tools from We R Memory Keepers will make it fully customized, adding an extra-special finishing touch! This gift has a few parts to it, but my favorite is the smiley face emoji sticky-note pad! Yes, those smiling faces, while finishing the tag sentiment by saying, “All SMILES because you’re my teacher,” are also sticky notes! 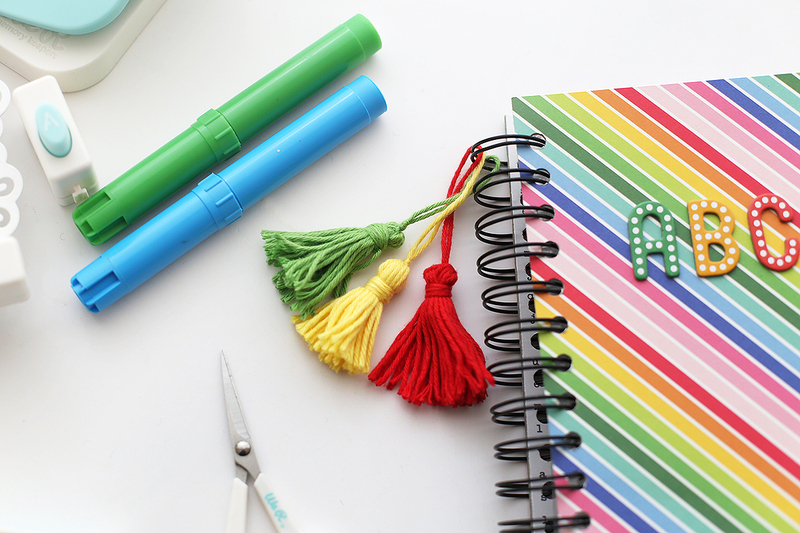 What teacher wouldn’t love to have those cute supplies on their desk?! I know this former teacher thinks they are fantastic! 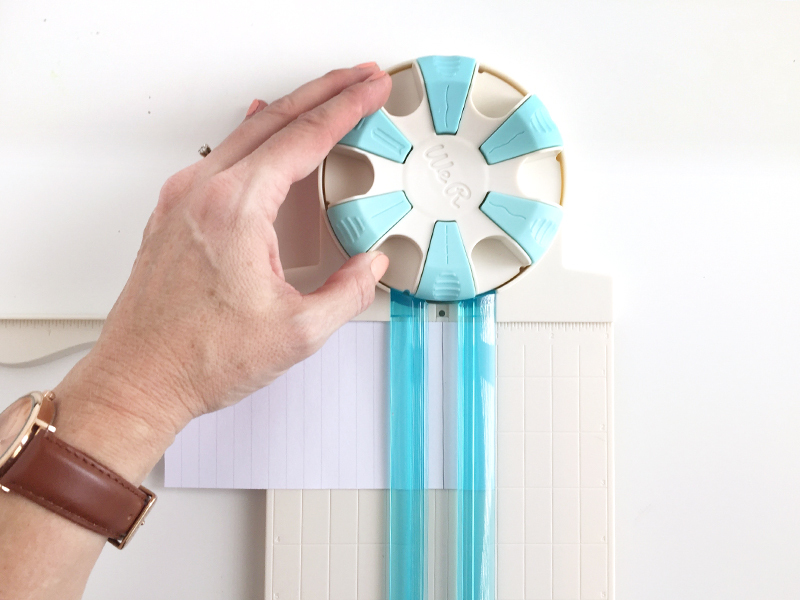 One tip to start, be sure and get the sticky notes that are completely backed in adhesive, not just on the top edge. This will make your notes stay together better. I trimmed my sticky note paper down to the size for the Emoji Punch Board, which is 1.5” square. Then I proceeded to punch out the smiley face version. I love that they are so many faces to be made, but this worked for today’s project best. Stacking 3 notes together worked well while punching, more pieces of paper than that was too thick. As I finished punching each stack, I layered them together. Seriously fun and easy. 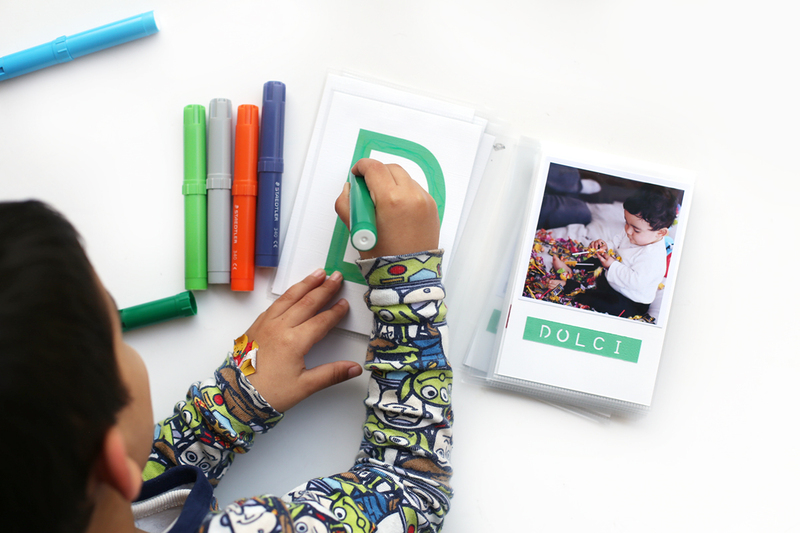 This would be a great way to get your kiddo involved in crafting as well! 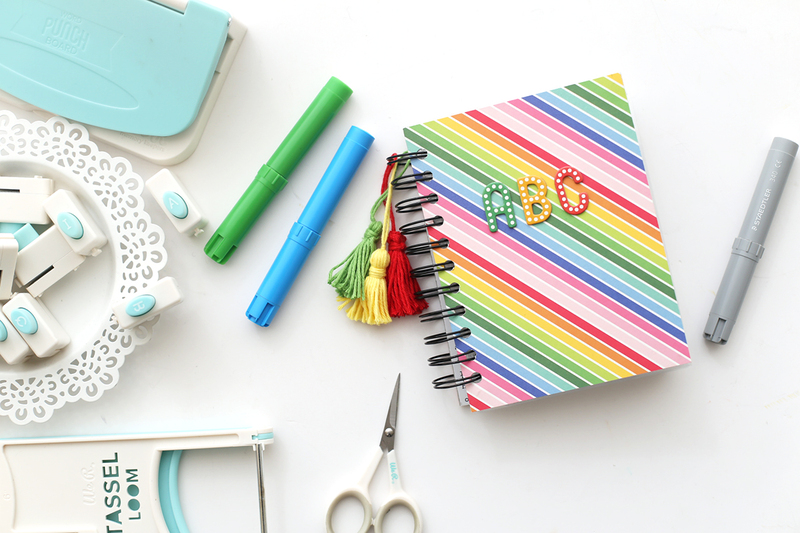 Accents of patterned paper from the DCWV Sweet and Sassy pad were added for color and fun. To personalize each jar, I punched a strip of patterned paper with the Word Punch Board. Adding each teacher’s name like this was not only easy, but it will help my kiddo remember whom to bring the gifts to as well. It also puts a name to the face of the person he must look at if he eats all the candy. What kind of emoji face will you make for your sticky-note pad?